Alpharetta GA homes for sale and real estate. Alpharetta homes for sale. Alpharetta real estate and estates properties. Alpharetta GA homes for sale. Find Alpharetta GA homes for sale. View Alpharetta homes tours of luxury houses, golf course estates, equestrian properties, bank owned foreclosures, and commercial, land, condos - properties for sale in Alpharetta. Why Live in Alpharetta Georgia? Alpharetta GA is a Great Place to Live! 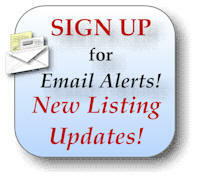 Searching for Alpharetta GA homes for sale, properties, land or real estate in Alpharetta? Are you looking for Windward Homes for Sale? Then you've found Alpharetta's best real estate site in or around Alpharetta Georgia. Whether you looking for homes in Windward, are buying a new home or a resale home in Alpharetta, selling your existing home, or relocating to the Alpharetta or the North Atlanta area call us! Our experience will move you! We are full time experienced Alpharetta GA real estate agents! We are REALTORS®, seasoned residential real estate agents, serving Alpharetta GA, and nearby Johns Creek Milton, North Fulton, Peachtree Corners, Woodstock and South Forsyth County. On this site find homes in Alpharetta Georgia's finest and most distinctive communities such as: Country Club of the South, The Manor Golf and Country Club, Park Forest, The Falls of Autry Mill, Glen Abbey, Six Hills, St. Ives, Oxford Mill, Doublegate, Silver Ridge, The Ridge, Triple Crown, Chartwell, Tuxford, Seven Oaks, Windward, North Valley, White Columns, Crooked Creek, and many more. Ellen Crawford of RE/MAX Paramount Properties specialize in service! Bookmark our web site, and enjoy Alpharetta Georgia's best real estate site for information on buying and selling homes. Come home to Alpharetta Georgia! You'll find Alpharetta Georgia homes, land, town homes, condos, new homes, investment properties, foreclosures, and properties for sale here! Find detailed information for Alpharetta real estate and the close in Atlanta suburbs on: homes, luxury town homes, townhouses, houses, housing, flats, condos, ranch homes, patio homes, adult active, cluster homes, gated communities, swim tennis communities, retirement homes, starter homes, town homes, land, investments, commercial, churches, local city government, restaurants, cafes, area maps, schools, colleges, education, hope scholarships, sports, traffic, weather, culture, golf, homes for sale, estates, luxury homes, investment property, new homes, recreation, relocation, traffic, weather, buyer agent, listing agent, civic organizations, sports, weather, and related area links. Buying or selling a home in Alpharetta Georgia? It's time to call Jim or Ellen Crawford.